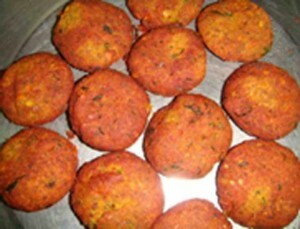 Daal Kabab recipe by Rahat Naz at DesiRecipes.com. Boil daal in 2 glasses of water and salt until it get smooth. Grind it and add all above ingredients and mix well. Make kabab of this batter. Heat oil, dip kabab in egg and then in bread crums and deep fry until golden brown. Serve with raita and hot nan.